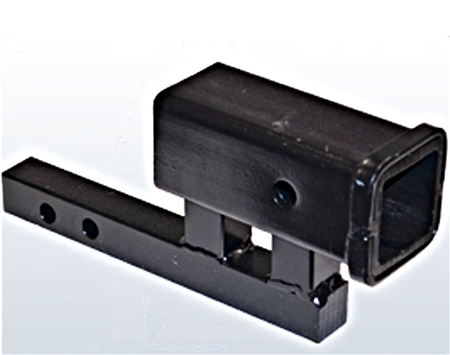 B-Dawg BD-HR2-3 Class II to Class III Hitch Riser and Adapter - 3-3/4"
The B-Dawg BD-HR2-3 Class II to Class III Hitch Riser and Adapter attaches to your existing 1.25" hitch receiver in order to either raise or drop your hitch level by 3.75". In addition, it converts your Class II (1.25") hitch to a Class III (2") receiver which can accept a wider range of attachments. 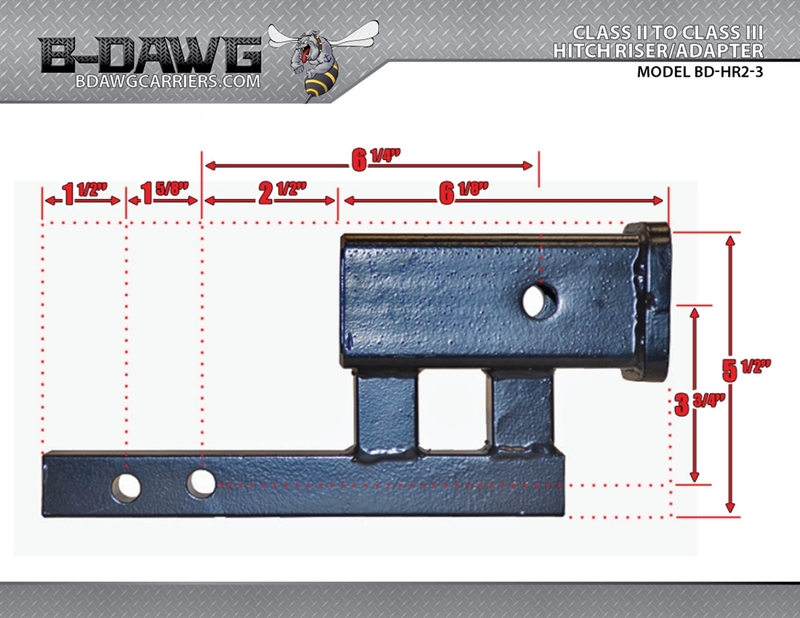 B-Dawg Class II to Class III Hitch Riser and Adapter - 3-3/4"